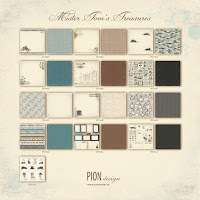 Today I am sharing a birthday card created using two Pion Design collections with contrasting palettes. I love how all of the collections just blend so well together! I’ve used Mister Tom’s Treasures and The Songbird’s Secret. The weather here is breaking all kinds of records and has put me in the mood for springtime. I've started making my plans for the new balcony design but unfortunately it will be three months before the stores here start selling outdoor items. Until then I'm working on the house and using older photos, taken when we had some snow. "If man aspires towards a righteous life, his first act of abstinence is from injury to animals." 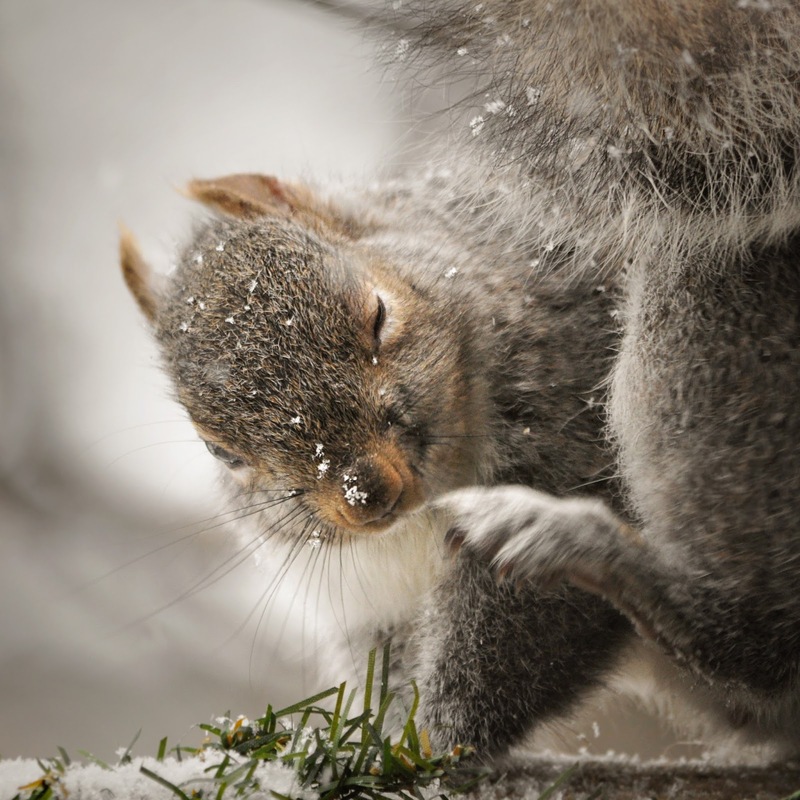 "OMG, I think I'm allergic to snow! It itches! It itches!" "Is there any way I can get this snow off my face without betraying my confident demeanour!" "OK, I know there's another peanut down there somewhere, I can smell it!" 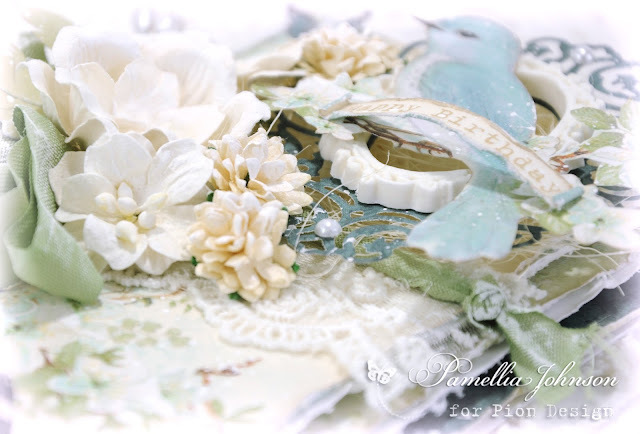 Hello Pamellia, your card is amazing stunning, what gorgeous paper and all your layers and embellishments are wonderful. Always a feast for the eyes. Another beautiful card, Pamellia! The papers work so well together. I love the shabby look of it! Your winter and animal photos are always so lovely to see. Thanks for sharing. Our weather is the same here--breaking records. Beautiful card! I love all the flowers and the colours. Wonderful photos too! Stunning make my dear!!! Love the die cuts and a wonderful floral arrangement. Simply breathtaking card. Beautiful card! Did you make the little white frame embellishment? Thanks Cynthia. Yes I made the little white frame using some crafter's air dry clay and a silicone mold. Looking forward to Spring myself and this beautiful card certainly depicts all that I associate with that time of year. A beautiful creation as always with so much love and thought gone in to the design. Hi Pamellia! 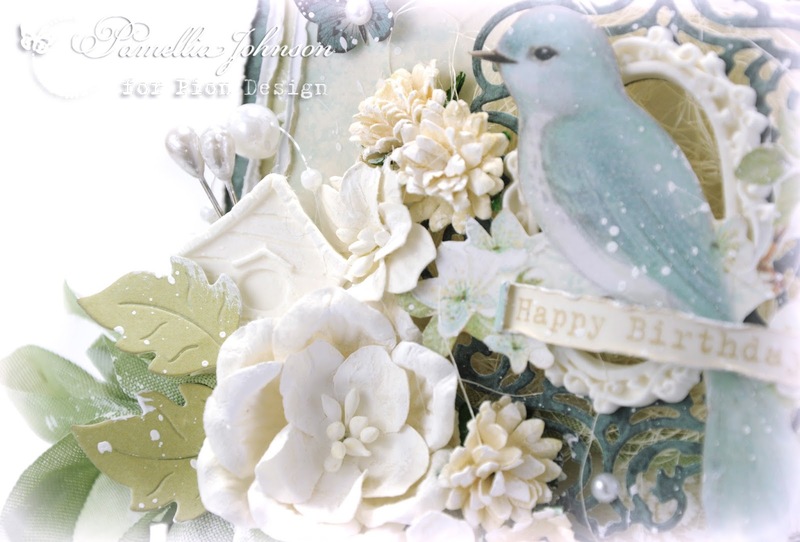 Lovely design for this birthday card, and I'm in love with this Songbird's Secret paper.... such sweet bird and delicate colours! The butterflies and the lace look amazing and love your layers. As always a fab shabby card! Fabulous photos of birds and expecially love that squirrel eating the peanuts! :D Such a fun and cute image! Great macro, too! Beautiful card the papers go so well together ,love the soft pastel colors. Just wish it was easier to get those papers here in Canada. 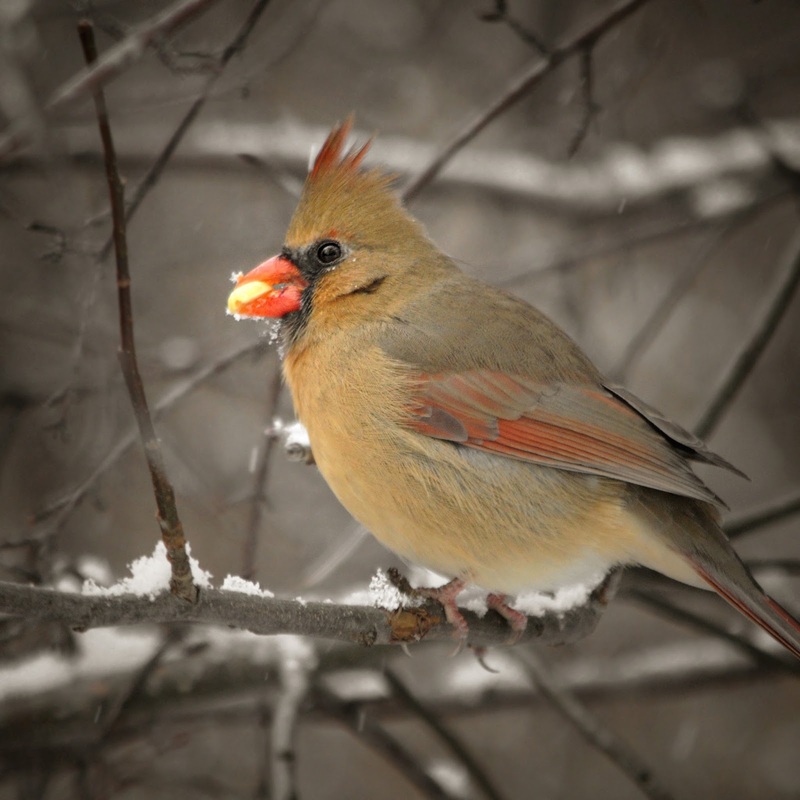 Adorable photos of the birds and of course the squirrels are so cute . another beautifully stunning creation today. I love everything you have done to create this wonderful card. Those papers are so gorgeous, and lovely, and I love your design. My those photos are as usual excellent. Lovely birds, and such cutie furry friends. Amazing card Pamellia gorgeous detail. 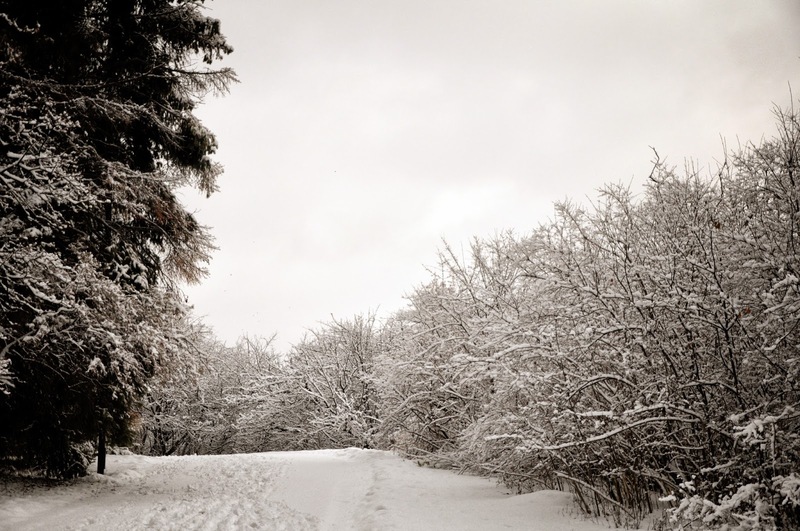 Lovely photos I love to see snow, we haven't had any this year. 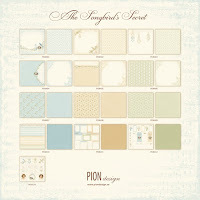 The gorgeous Pion papers never fail to impress, in your hands! 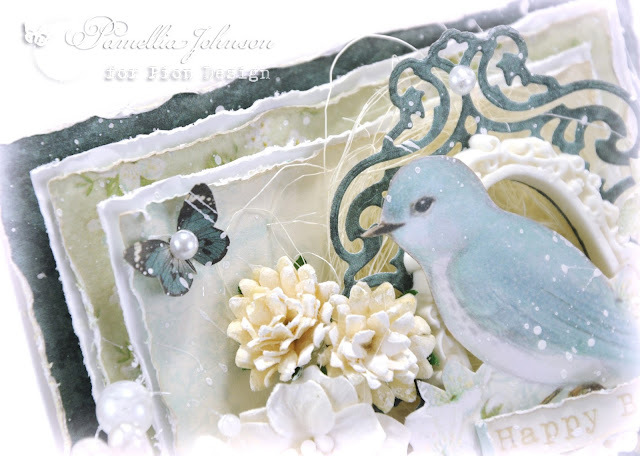 Your card is so beautiful, I love the gorgeous bird and butterfly and your layers, as always, are so impressive! Oh wow, this is absolutely stunning, Pamellia!! You always showcase the papers perfectly!! 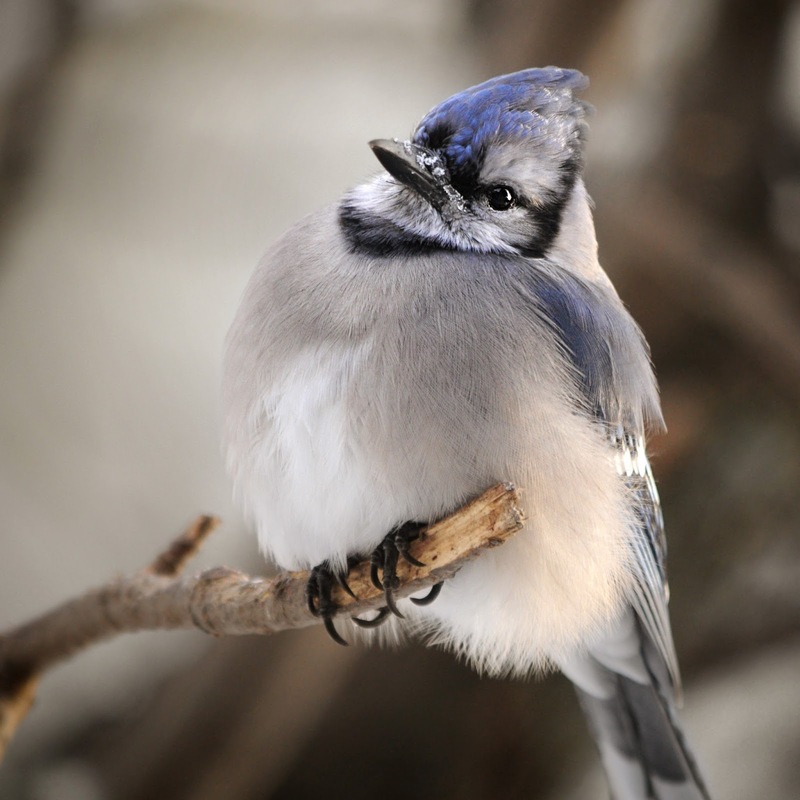 I love the layers and the beautiful bird!! Each detail is spectacular!! I love how you tucked in the birdhouse!! Truly gorgeous and as always, incredibly inspiring!! Your pictures are so beautiful!! 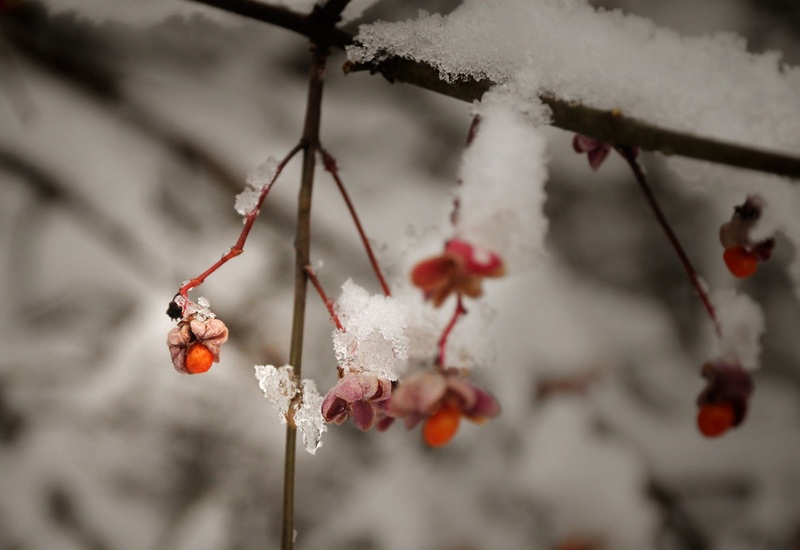 The snowy shots are gorgeous...I love how the red berries just pop!! Your bird shots are am amazing, as always!! And the squirrels are so sweet!! I hope you are doing well, my dear friend!! Thinking of you and sending lots of hugs!! 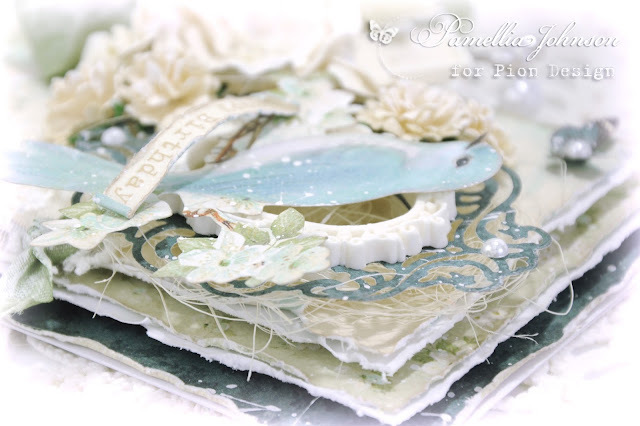 Gorgeous card design Pamellia, love these beautiful papers you have used and your details are fantastic. Beautiful wild life pictures you have shared. 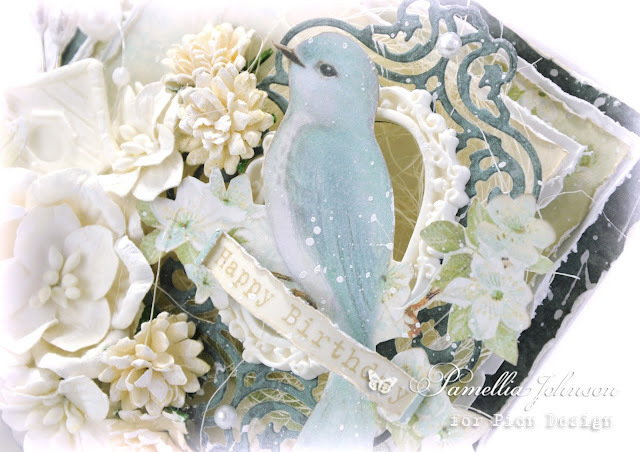 It is such a pretty bird image on your fabulous card Pamellia. As always the details are perfection. I loved today's photos, especially the birds, the feathers look so vibrant. Beautiful card and stunning photos! Pamellia, I was just starting to get beautiful Pion paper made into those fabulous little delights you create withdrawal. Thank goodness you saved the day with this beautiful treasure of a card! I love the bird layered on that handmade frame and the flourish. The tiny bird house and those stick pins are just the kind of details that make your work so extra special! Gorgeous, my friend! 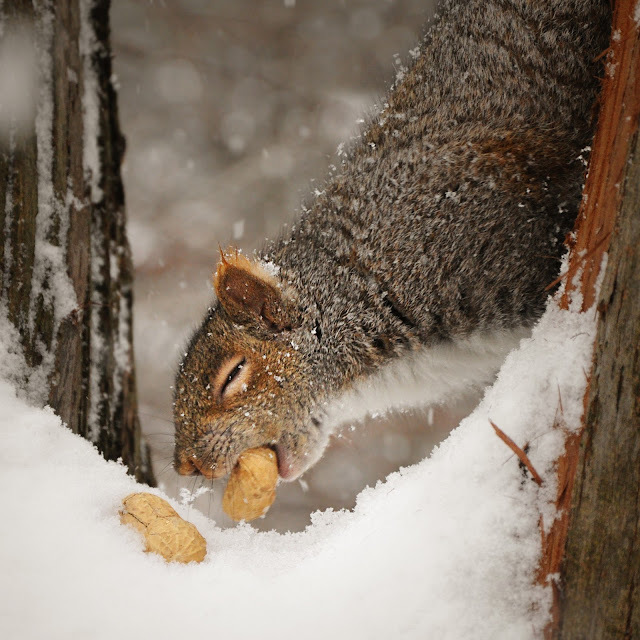 Love the photos, especially the bird in hand shot and unnamed squirrel stealing a peanut! What a shot! Do you use raw peanuts or roasted? I was in the store the other day and saw some, thinking of you. Sending hugs your way! Awwww, thanks so much Sara. I use roasted nuts because they stay fresh longer, but unsalted. I use peanuts for the photo shoots because they have the strongest smell and will attract the animals, but they're actually not good for them. Best are walnuts, pecans, hazelnuts, cashews, etc. No almonds either. 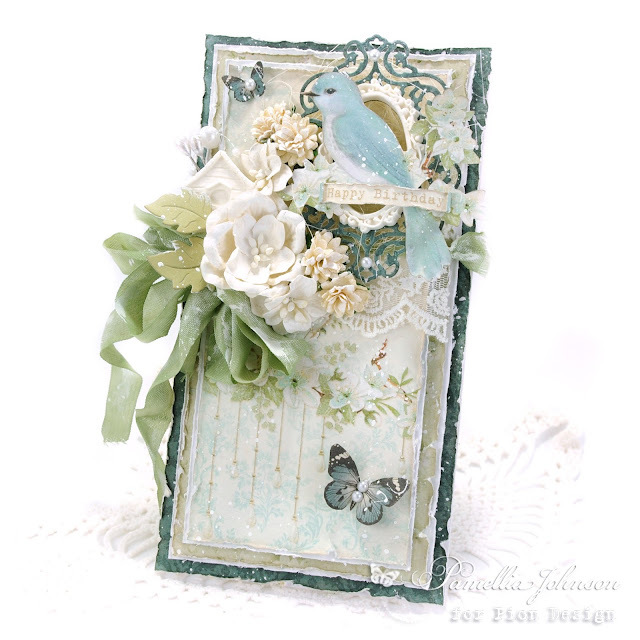 What a gorgeous card Pamellia - love the soft colour palette and the gorgeous accents and dimension you have there. Thanks too for sharing your photos - they always give me a smile. Breathtaking!!! Love, love, love this card Pamellia!! The soft colours, the wonderful layers, the lace, the little bird image on top of the resin frame .. it all goes together so beautifully, and the little bird house is a delightful finishing touch. Soooo inspiring!! Stunning card and stunning photos! Such a gorgeous card - I love the tall elegant format, enhanced by the composition of the elements towards the top. Brilliant nature photos as always... when's the book coming out?! Absolutely stunning card, Pamellia! I too love the tall slender format. And your fussy cutting is ....wow! When I saw the bluebird it took my breath away. 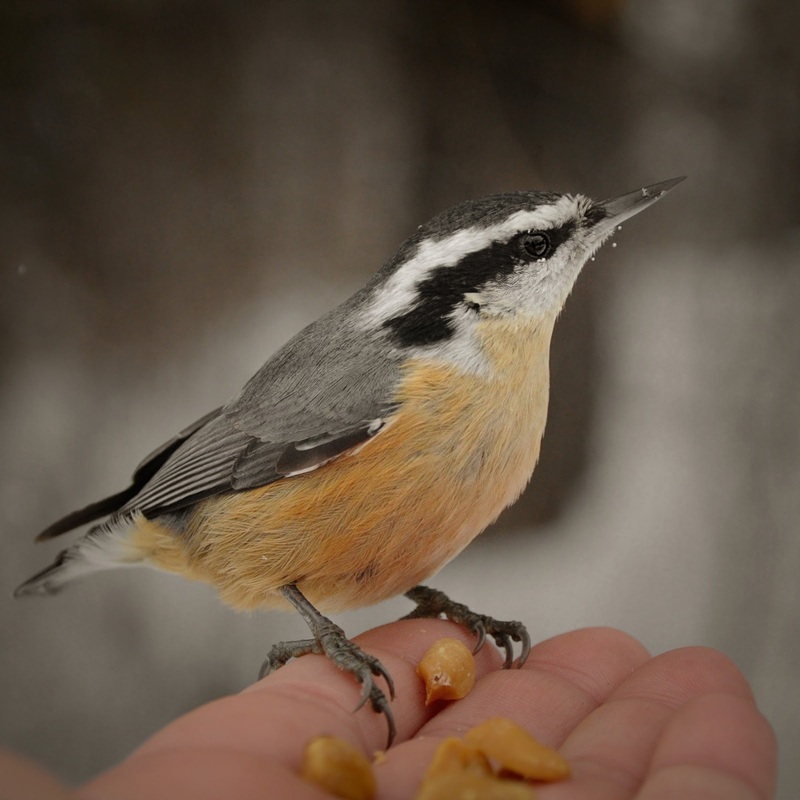 Your pics of the birds and squirrels brighten my day. Thank you for sharing! Your wonderful photos continue to amaze me and make me smile- I love them!! OH! SO VERY BEAUTIFUL, so feminine and with such delicate colours and embellishments, Absolutely GORGEOUS. You never cease to amaze me with your cards and photos - fantastic Pamellia! I always feel so happy when visit your blog, Pamellia! Your card is fantastic and that soft blue bird is simply breathtaking! This is not just a card, this is a masterpiece of art and I would frame it and treasure it forever! I could almost feel the Spring in the air! It's spectacular, my friend! Oooooh, what a stunning macro! A feast for the eyes! You have the best friends I could imagine! They are all so cute and so unique! Your photography hypnotizes me! What a beautiful baby card Pamellia! I love the sweet bird, light green ribbon and all your gorgeous layers - and your photos are lovely - I love all the different color squirrels you have there - we have just gray and black in our neighborhood - and one all white that I see near my church! Sorry - I meant B'day card above! I got so distracted by your photos at the end! what a stunner ...and a gorgeous bird too!! I love that this card has everything at the top because it makes me think that your lovely birdie is sitting up in a flowering tree that is in front of a frufru houses window...looking down on all the goings on beneath. 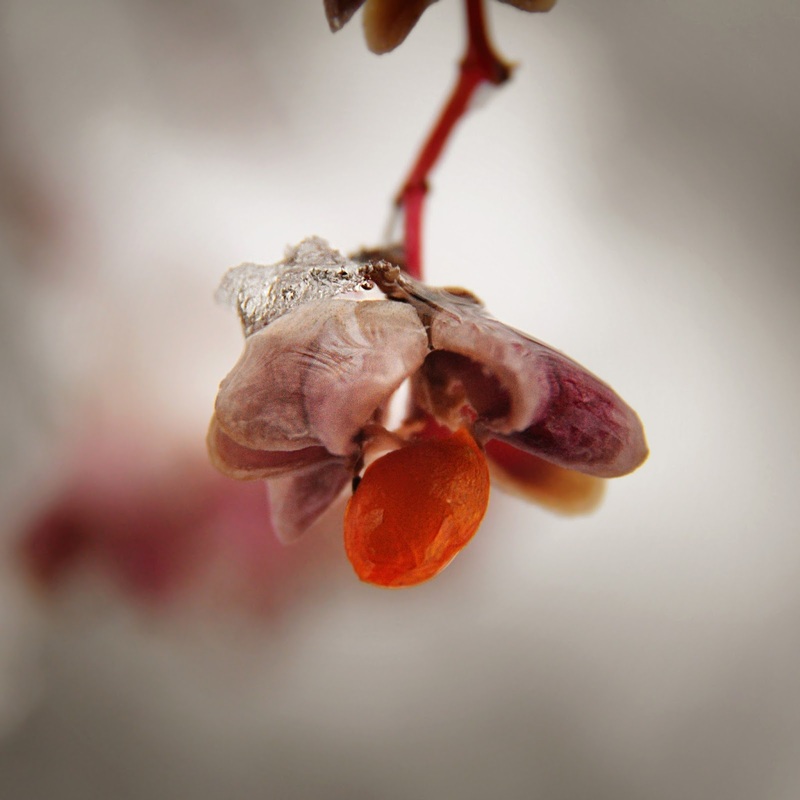 Lovely colors - makes me think of the transition between winter's cold and springs new growth. BEAUTIFUL. Xj. P.S. Nothing to share yet but one of these days... when you least expect it!!!! Beautiful card and photos!! Love the color of the ribbon especially. Well, that was a little odd, I had definatly read this post before but, as far as I can tell, I did not leave a comment. How odd, it is a good job I checked before deleting the email. Otherwise you would never know how much I love this fabulous card. 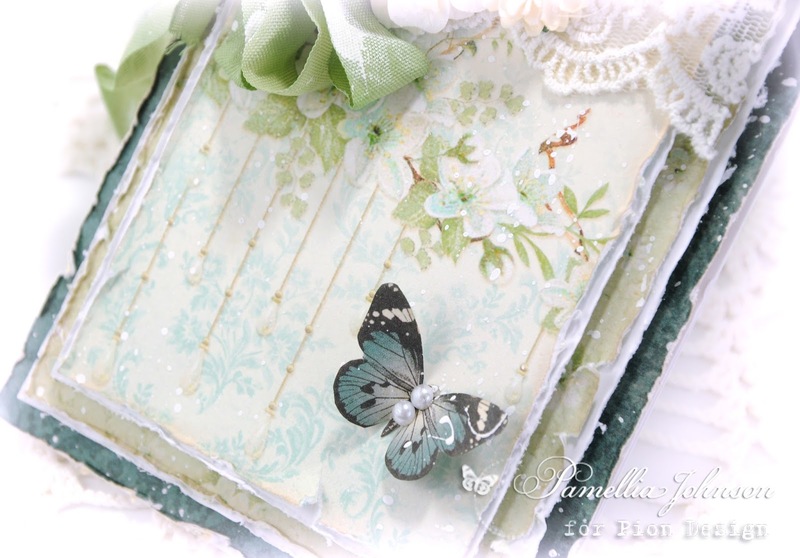 I adore the eggshell blue colour and the lovely die cut frame - and all of the pretty little butterflies are so sweeet. Wonderful snowy views and all of the fab little birds in their winter plumage, they are just so cute. Love all of the great squirrel shots, you just have to love these guys. A beautiful and delicate card. The papers are divine. Daffodils in flower here so Spring has definitely sprung. 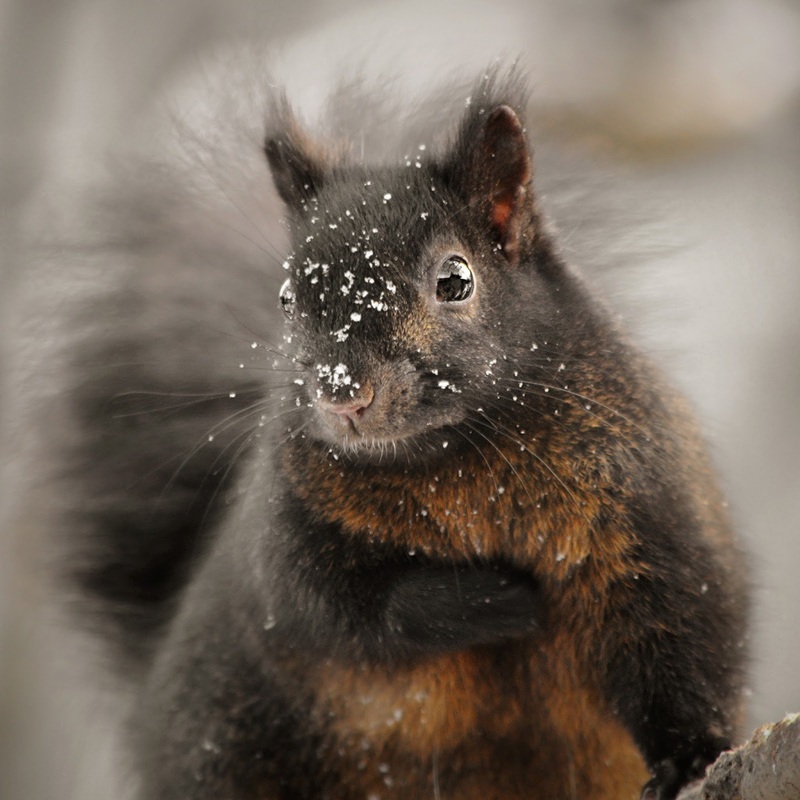 Hope you have warmer days, if only for the squirrels sake lol!